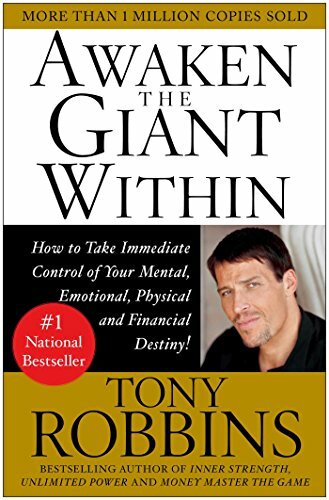 Awaken the Giant Within is a book that focuses on how to improve both personal and professional self-awareness, to help the reader become the master of their life. You can learn a wide range of strategies that will help to overcome your damaging habits, take control of your emotions, build relationships, and master key financial skills. Are You Living or Existing? 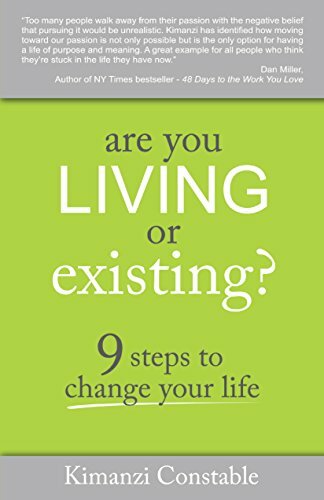 9 Steps to Change Your Life is a guide book that provides eye-opening insights and a clear plan to creating a better life. Readers will be given advice based on Constable’s experiences which have allowed him to become successful and achieve his dream. This witty yet practical guide will provide real strategies for achieving dreams that get real results. 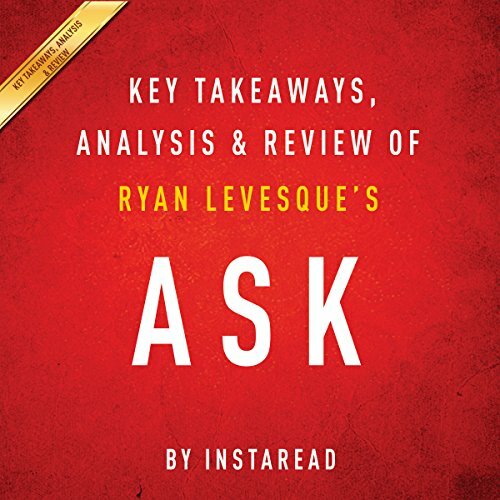 Ask by Ryan Levesque is a book for any person or business that sells products direct-to-consumers. In this shortened version, you will get the key takeaways and main concepts that include formulas that will allow businesses to better connect with current and potential customers. These formulas help businesses create products that consumers will respond to and buy. 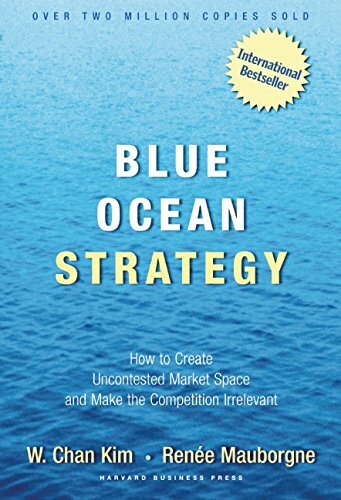 Blue Ocean Strategy is a book that focuses on looking at open and empty market spaces rather than competing in a highly competitive market. You will learn how to find blue oceans in market spaces and how you can differentiate your products, services, and your business. 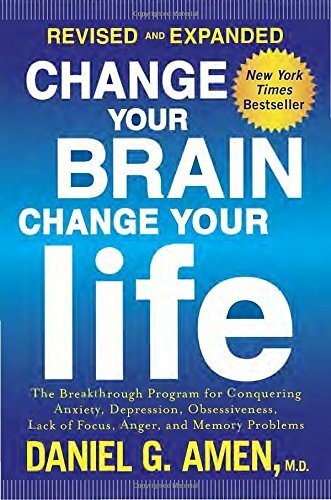 In Change Your Brain, Change Your Life, neuropsychiatrist Dr. Daniel Amen provides “brain perscriptions” to heal the effects of certain psychological issues. These brain prescriptions help readers take charge of their own mind to combat against depression, anxiety, impulsiveness, anger, and excessive worry. This book provides an explanation and guide to running a business in a capitalistic yet positive way. 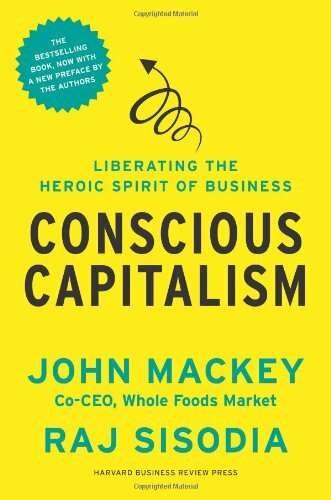 Conscious capitalism is a term that describes when businesses strive to adhere to a better philosophy- conducting business in a way that benefits all involved. This includes shareholders, employees, customers, the community, suppliers, and the environment. In Crush It! 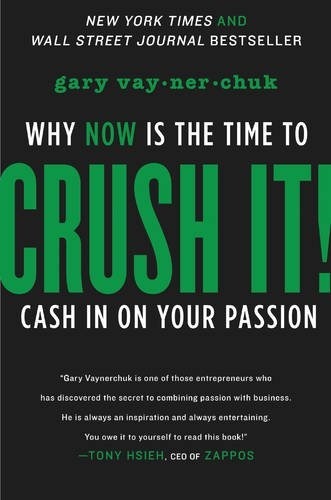 Why NOW Is the Time to Cash in on Your Passion, Garry Vaynerchuck provides a step-by-step guide for how readers can use the internet transform their passions into a source of income. In the modern world, social media has allowed more opportunities for niche businesses and opportunities to monetize passions. 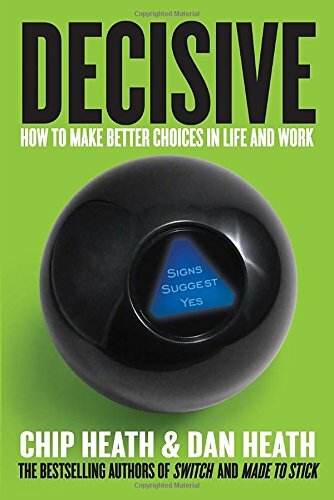 Decisive, by Chip and Dan Heath, provides a four step process for making better decisions and being more confident in those decisions. Our minds can often be irrational, but the Heath brothers provide a way to navigate through uncertainty. 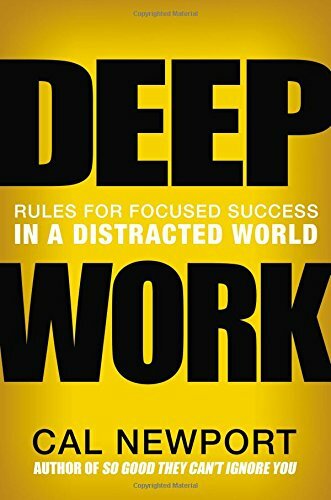 The world has become a very distracting place, but Deep Work by Cal Newport provides a new perspective on this distraction in this practical guide to helping individuals achieve more focused success amidst distractions. Cultivating the ability to achieve deep work will give readers the intense focus that they need to thrive in this competitive economy. 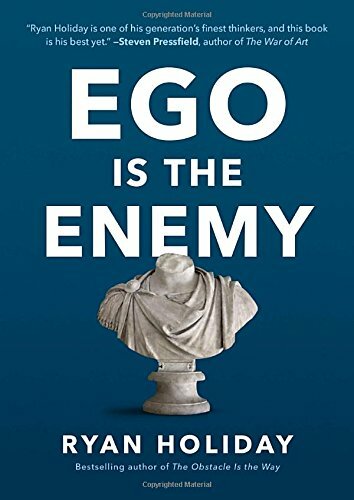 Ego Is the Enemy is a book that provides historical examples and enlightening lessons about how ego holds humans back but overcoming that ego allows people to accomplish great things. Ego can be the greatest obstacle to achieving success, and Ryan Holiday provides insight to help his readers to avoid this trap and accomplish world-changing work. 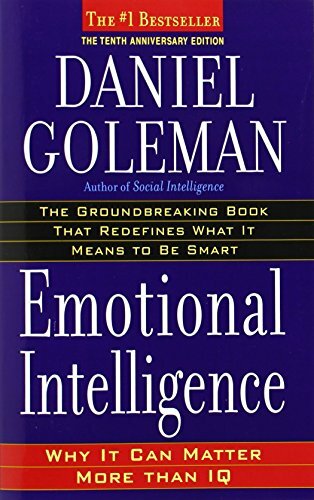 Daniel Goleman’s Emotional Intelligence: Why It Can Matter More Than IQ takes readers on a journey of powerful examples to communicate the 5 crucial skills of emotional intelligence and how those skills impact success in work, relationships, and well-being. Based data from the fields of psychology and neuroscience, Goleman argues how emotional intelligence plays a greater role in life success than people may have previously thought. 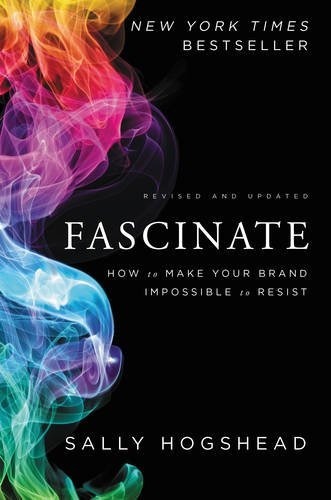 Sally Hogshead takes readers on an enlightening journey of what makes brands irresistible and provides a guide to how they too can fascinate anyone. Through the science of fascination, you can learn key skills to accelerate business such as how to raise prices, increase revenue, get better leads, and attract a loyal fan base. 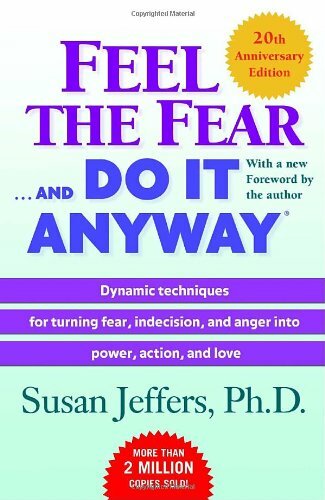 In Feel the Fear… and Do It Anyway, Dr. Susan Jeffers uses insight and humor to take her readers on an empowering journey to tackle their fears. A simple plan to understand, but difficult to execute, Feel the Fear provides case studies, explanations, and methods to help readers become powerful in the face of fear and achieve success. 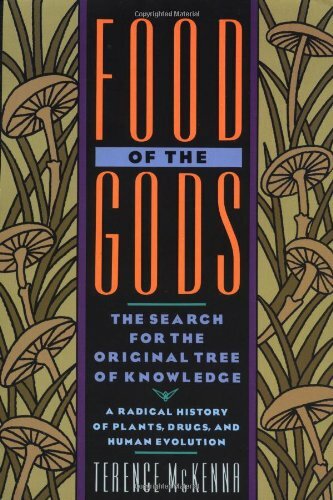 Food of the Gods: The Search for the Original Tree of Knowledge A Radical History of Plants, Drugs, and Human Evolution is an exploratory book about the historical relationship of humans with plants and chemicals, with special focus on hallucinogenic mushrooms. This book also takes a look at tobacco, tea, opium, coffee, and alcohol to provide an argument about why our society has gravitated towards those substances. 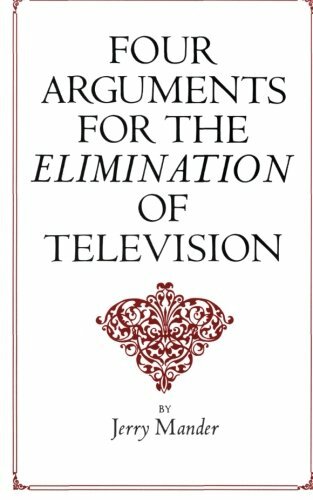 The Four Arguments for the Elimination of Television is the first book to call for the complete elimination of television from our society. Drawing from research and personal experience, Jerry Mander goes into frightening details of just how harmful and insidious television is. 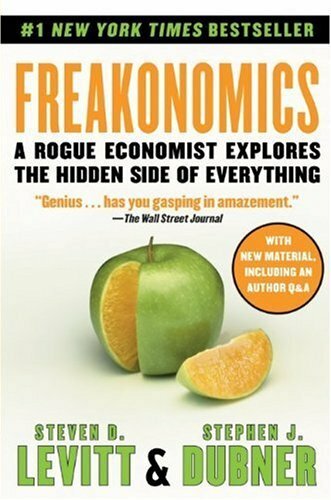 Freakonomics is a groundbreaking book that uses a populist approach to economics. Exploring the fascinating “why’s” of cheating, crime, parenting, and sports, this book takes a unusual approach to applying economics to everyday life. This book breaks down the intricacies of human activity, allowing the reader to uncover how they can personally make quick and lasting changes in their life. Frogs into Princesses is the first comprehensive book about Neuro-Linguistic Programming and provides specific methods to helping people overcome a wide range of limitations. 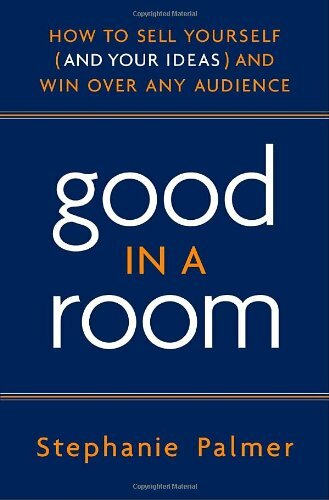 Good in a Room is a book that will help readers to move forward in their professional lives, with direct focus on how to conduct one’s self in the most effective way during high-stakes meetings. Being able to master the art of presenting yourself well will make all the difference for getting a raise, getting the financing you need, or just appearing more competent and confident overall. Handwriting Analysis: Putting it to Work for You is an entertaining read that will examine and explain the science behind handwriting. 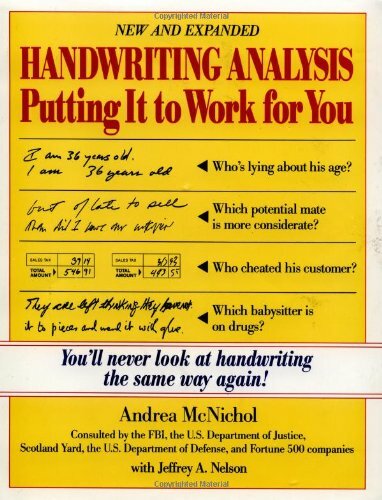 Andrea McNichol explains graphology in a way that is both captivating and useful. 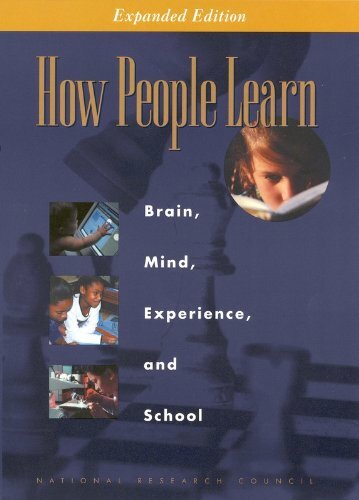 How People Learn is a book that examines research about the brain and provides interesting implications about how people learn. Different people learn in different ways, so if you are interested in the science behind learning or how our current education system could improve, this is the book to turn to. 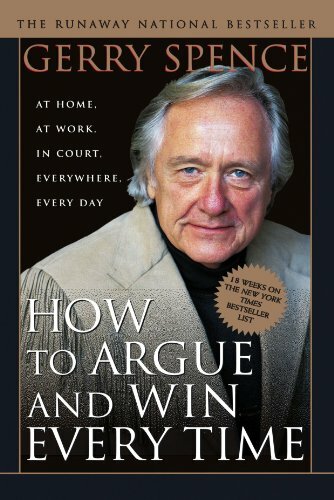 How to Argue and Win Every Time is a book that focuses on the most effective way to argue and how to get what you want out of an argument. There are many factors that go into winning an argument, and Gerry Spence provides an insightful perspective on how to win them every time. 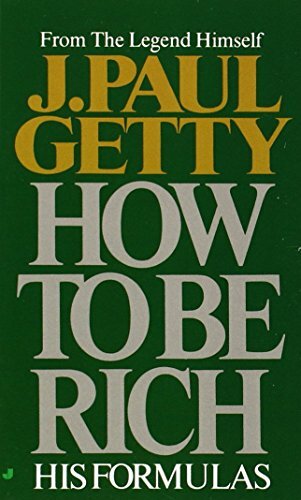 How To Be Rich by J. Paul Getty provides the reader with first-hand advice from a successful billionaire businessman about how they too can become rich. The reader will get Getty’s personal secrets to success and practical advice for how to be successful. 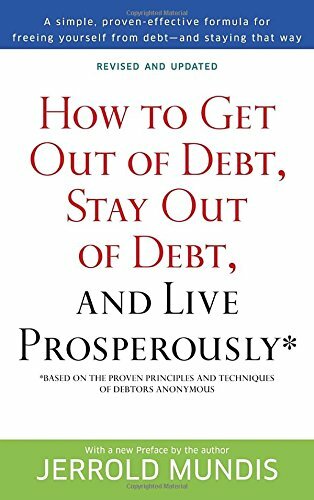 This book is created for those who are struggling with debt or afraid of getting into debt, and will provide these individuals with proven techniques to manage this major stressor and remove debt from their lives once and for all. 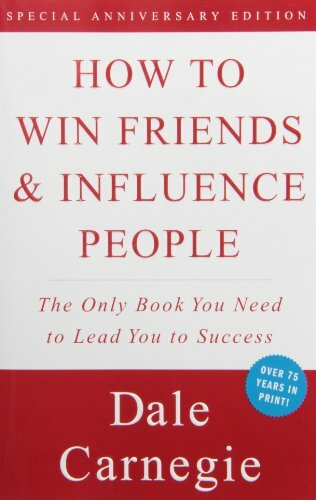 How To Win Friends and Influence People is a book that will provide techniques and methods that will change the way people react to and feel about you. From making friends to improving relationship, and even influencing those around you, this is a book that can change all of your interpersonal relationships for the better. 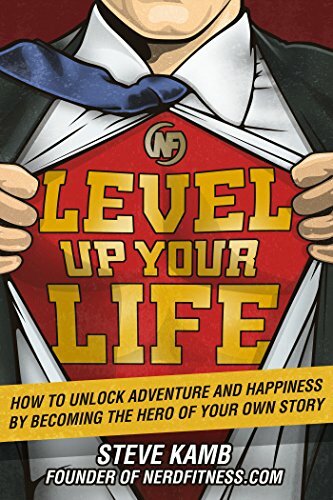 Level Up Your Life by Steve Kamb puts self-improvement in the terms of your favorite video-game, story, or movie so that you can achieve the things that seemed you never thought possible. This book will guide you to become the superhero of your own life. 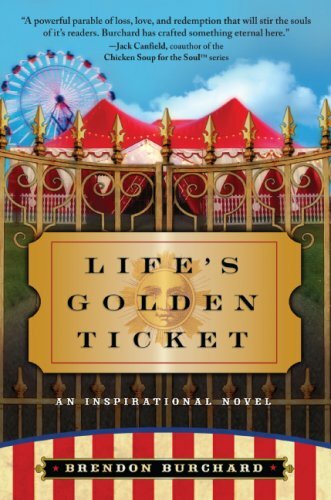 This is a motivational novel that uses a backdrop of a amusement park to take the readers on a compelling journey. Brendon Burchard tells a powerful story through the narrations of a visitor to this haunted park, and gives the reader an adventure full of possibility, risk, pain, and wisdom. 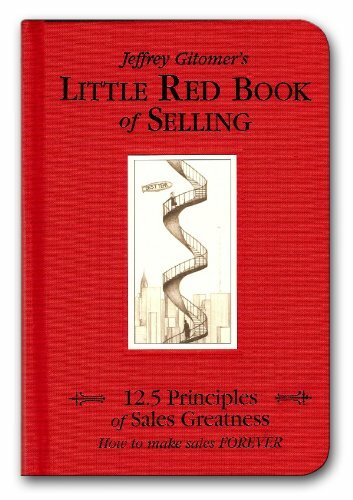 Jeffrey Gitomer’s Little Red Book of Selling gives the readers an enlightening view on the art of sales. This book is geared to anyone in sales who is looking to improve their professional skills and strategies. 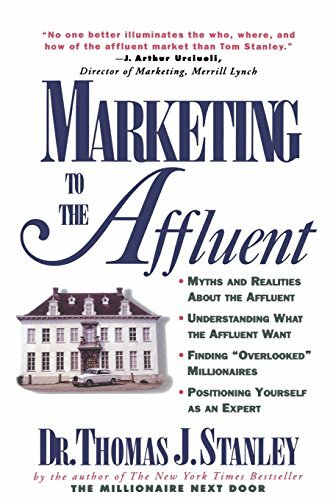 Marketing the the Affluent by Thomas Stanley focuses on what affluent people need and how to use that to your advantage. Those who are affluent have the greatest purchasing power, and Stanley is able to provide a comprehensive guide about how to understand and capture that market. This book is your complete guide to mastery and will cover topics ranging from tools that will help to achieve mastery, to ways to avoid obstacles, and even the importance of striving for mastery. Having the discipline to practice and achieve mastery will bring a greater sense of life satisfaction. 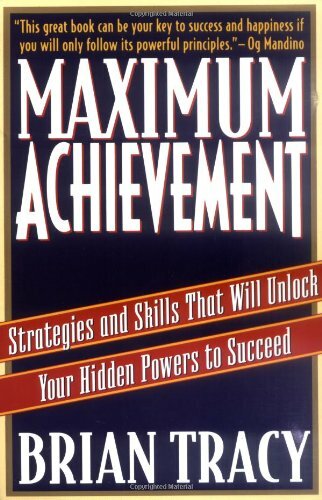 Maximum Achievement by Bryan Tracy provides a guide for raising self-esteem and achieving success. He gives tangible steps, methods, and expert advice about achieving more that you ever thought possible. 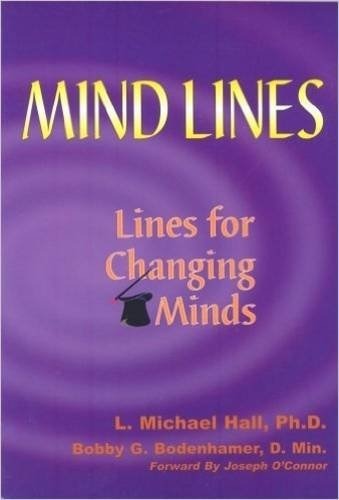 Mind-lines: Lines For Changing Minds is a book about the intricacies and magic of language, and how it impacts many aspects of life. This book gives an eye-opening perspective and uncovers the massive influence that language has on everyday life. 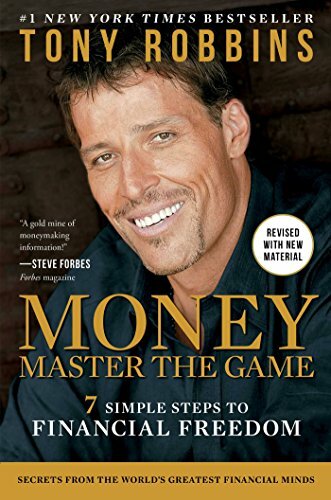 In MONEY Master the Game, Tony Robbins shares his 7 step blueprint to achieving financial freedom. Follow along as he shares practical, inspiring advice and tips that will benefit anyone from the naive investor to the professional. 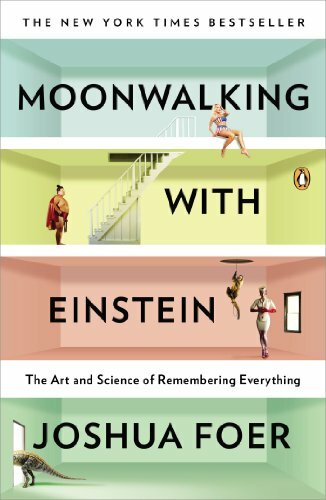 Moonwalking with Einstein focuses on memory and the mind. This book provides a fascinating history of memory, an insightful narrative, and memory training techniques. 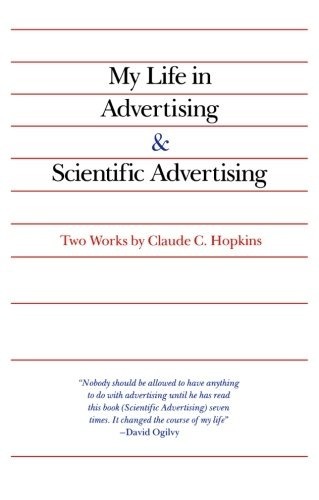 Claude Hopkins shares his years of experience in test marketing and coupon sharing with in his book. This book can teach you about the fundamentals to creating a successful campaign, and is especially beneficial to individuals in the field of marketing, advertising, or copyrighting. 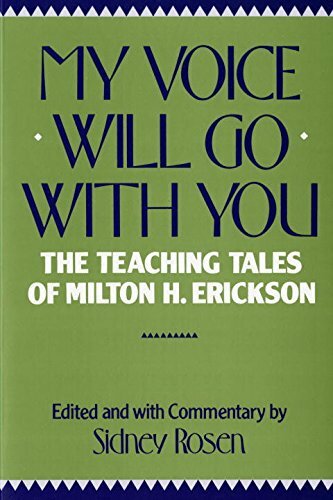 My Voice Will Go with You: The Teaching Tales of Milton H. Erickson is a collection of commentary and stories that Erickson drew from his hypnotherapy sessions with his clients. The entertaining and insightful stories show how to reframe personal experiences, overcome limitations, and uncover values. 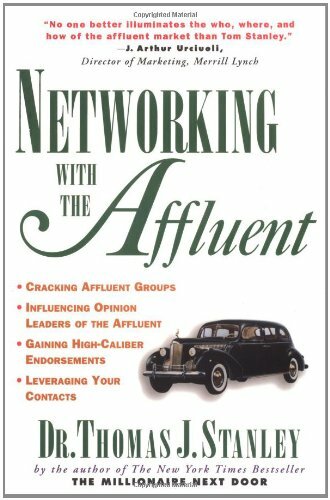 Networking with the Affluent gives valuable advice and insights into how to network with affluent clients. This book is mostly designed for individuals in sales and finance, but the advice makes it a good read for anyone who is interested in reaching out to the wealthy in a networking situation. This book provides a classic example to building relationships, including those that take place in the digital world. 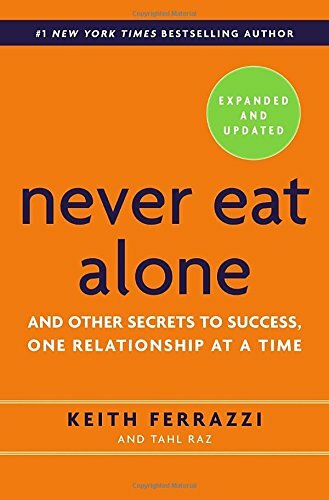 Keith Ferrazzi’s best-seller goes in-depth about the steps and mindset involved for fostering relationships and connecting with the world around you. 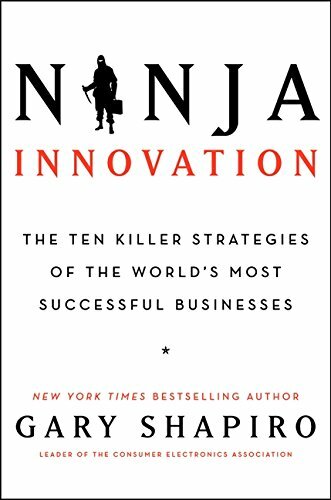 Ninja Innovation is a book about the fundamental innovation skills needed to become a ninja in today’s business world. Gary Shapiro delves into the secrets of what it takes to be successful, and how to implement his 10 killer strategies into your life. 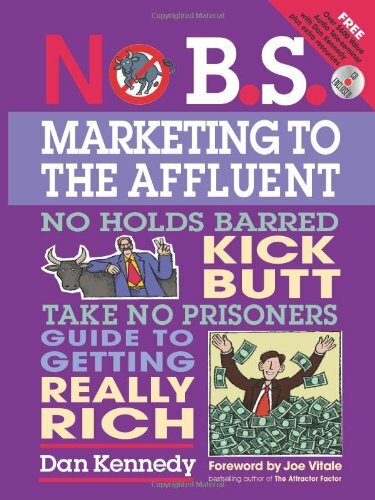 This book provides real-world, practical strategies to marketing to the affluent. Change the way you think about doing business with this straight-forward guide to making money marketing to the people who have plenty of money to spend. 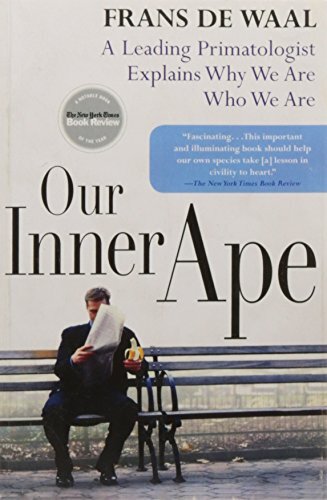 Our Inner Ape is a book about exploring the connection between humans and apes. Frans De Waal explains ape behaviors in an entertaining and informative way in order to provide reflection and insights on human behaviors. 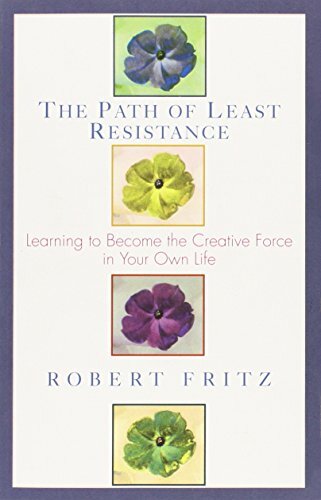 Path of Least Resistance describes how every person has the innate ability to create. It includes steps, the benefits to being a creator, and how to use the creative process to propel you in life. Robert Fritz creates this self-help book to help people change the rigid structures in their lives and allow creativity to flourish. 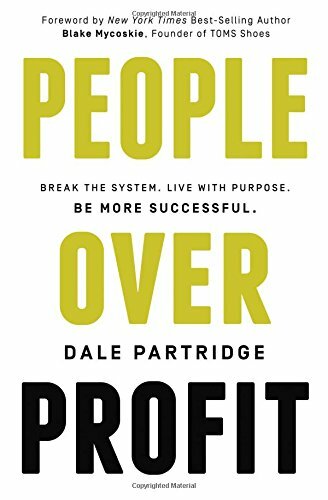 People Over Profit is a book where Dale Partridge shares his 7 core beliefs to creating success. Business is oftentimes conducting in a damaging way, but it does not have to be that way. Partridge is trying to create a new generation of consumers and business leaders by changing how you do business and who you do it with. 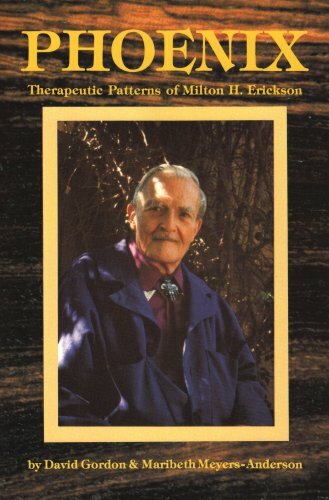 Phoenix: Therapeutic Patterns of Milton H. Erickson is a book about the therapeutic work of Erickson that did not use a formal trance state. 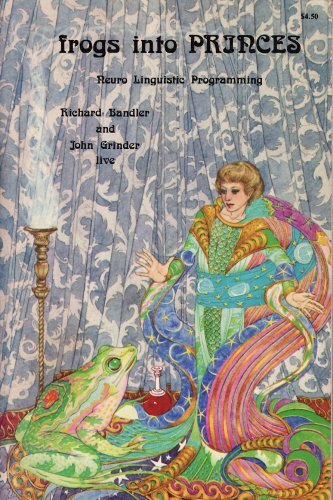 This book is a unique take on Erickson’s psychotherapeutic methods and ways in which the reader can implement those methods. 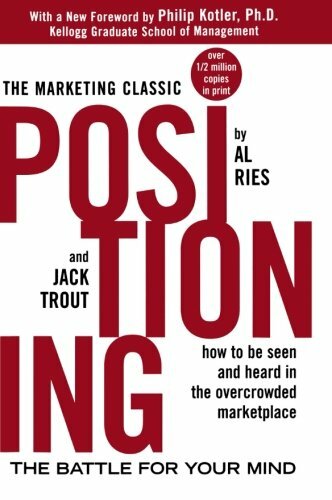 Positioning is a book that focuses on how to “position” what you have to consumers. A great book for anyone in the business world, Al Ries and Jack Trout create a eye-opening guide to perfecting the art of communication in the marketing world. 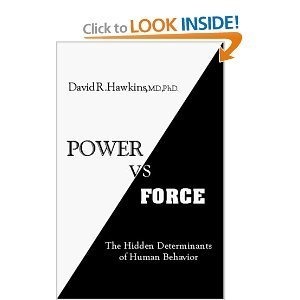 Power vs. Force is a self-help book about how to live a good life. 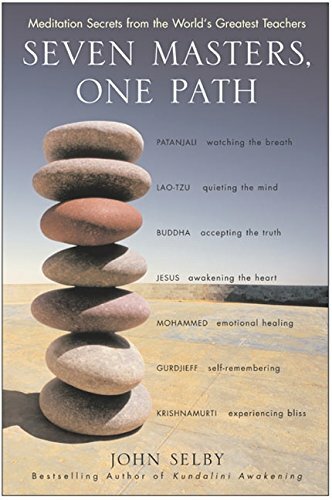 Covering spirituality, enlightenment, and the difference between power and force, this book will take you on a journey of understanding the world. 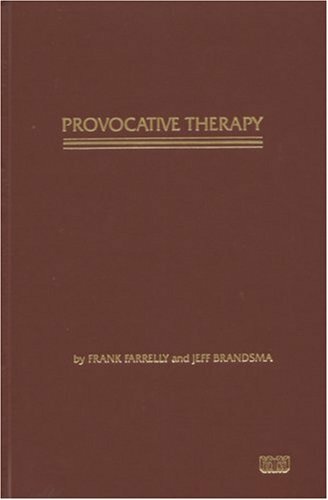 Provocative Therapy is a concise yet insightful read that will go against many traditional assumptions. The purpose of provocative therapy is to change a client’s behavior, and this book will use humor to follow that theme. 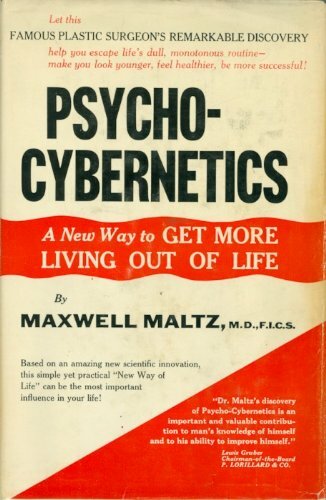 Psycho-cybernetics is a book about improving your life in a meaningful way. Even if you have a history of repeated failure, you can acquire skills to lift yourself up experience success. Pulling Your Own Strings is a fascinating read about how to escape the trap of being manipulated, and become the boss of your own life. 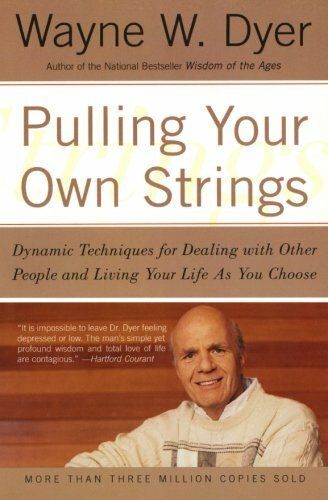 Wayne Dyer puts the responsibility of navigating one’s own life on the individual, creating this self-help guide to help people take charge and stop being the victim. 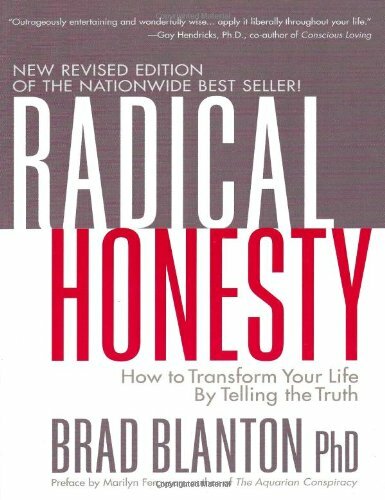 Radical Honesty by Brad Blanton is about how to get the most out of life- passionate relationships, honest communication, and fostering intimacy in all aspects of life. Blanton guides his readers towards understanding the significance of honesty. 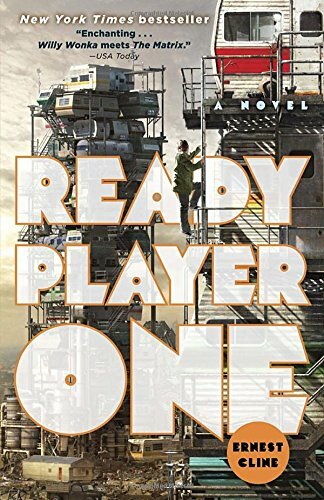 Ready Player One: A Novel is set in the year 2044 an is an action-packed, fantasy novel about main character Wade Watts in a fantasy culture. Watts’ world is falling apart, so he along with many others prefer to live in a virtual reality world. Watts is forced to compete for his life when the creator promises power and fortune to whoever can unlock his puzzles. 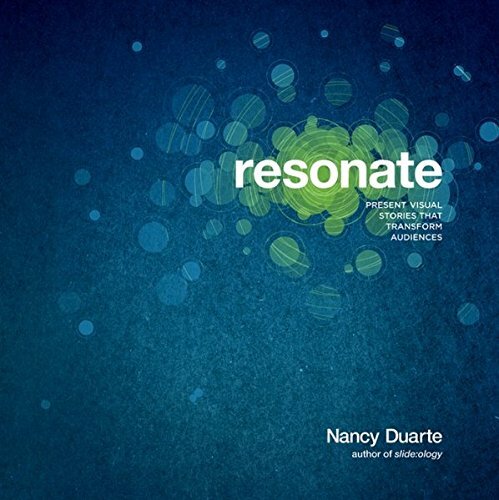 Resonate is a book that focuses on how to create an impactful presentation that can connect with an audience. For anyone who has ever sat through a few, it’s common knowledge that presentations can often be boring. Nancy Duarte does a wonderful job of giving a fresh perspective on how to create a captivating presentation. 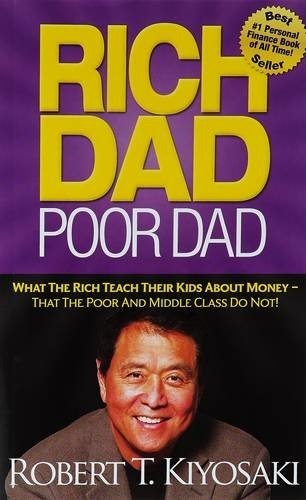 Rich Dad Poor Dad is a book about personal finance that explains some of the myths and tricks surrounding money and investing. Robert Kiyosaki writes from experience about financial intelligence and how to increase wealth. 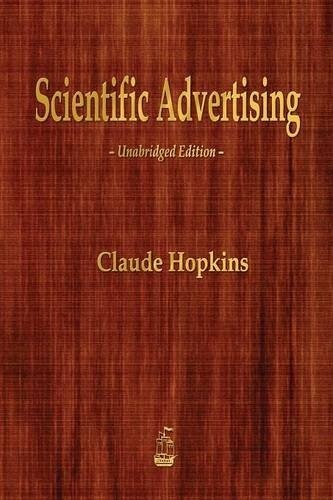 Scientific Advertising by Claude Hopkins is a book that provides fundamental knowledge and key insights about advertising. This book helps readers understand the core components to advertising, and learn important pieces to the advertising puzzle such as how advertising laws are created, negative advertising, psychology, and what good business means. 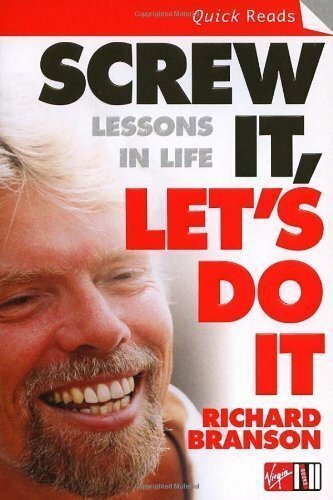 Screw It, Lets Do It by Richard Branson takes readers on a journey of Branson’s secrets to success and life lessons. In this enjoyable, light read, Branson shares his personal story of success. 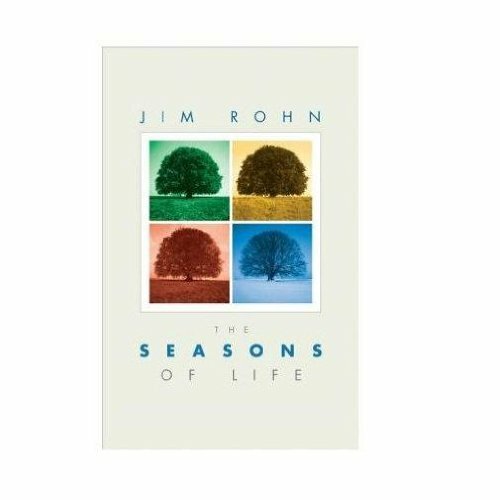 In Seasons of Life, Jim Rohn gives an interesting perspective to life by comparing it to the changing seasons. His book is a blend of analogies, life lessons, and reminders that may change the way you view life and its many twists and turns. 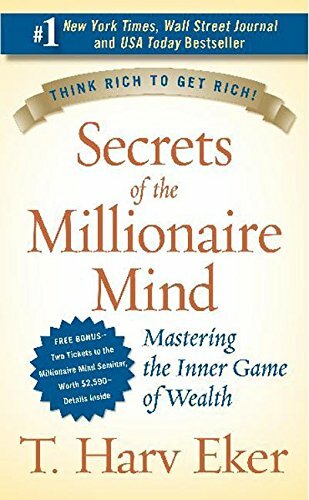 Secrets of the Millionaire Mind is a book that bridges together wanting success and achieving it. Part 1 describes how to identify and understand your money blueprint; part 2 includes 17 “wealth files” about what the rich are doing differently, and the steps you can take to improve your financial situation. 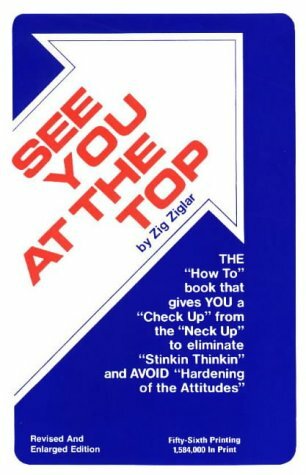 See You at the Top by Zig Ziglar is a guide to help you succeed. It focuses on the attitudes, values, and self-image you need to create and achieve your goals. Seven Masters, One Path is a straightforward guide to meditation. In this spiritual book, 7 masters each showcase their primary meditation practice to creates a unique meditation program that readers can master. 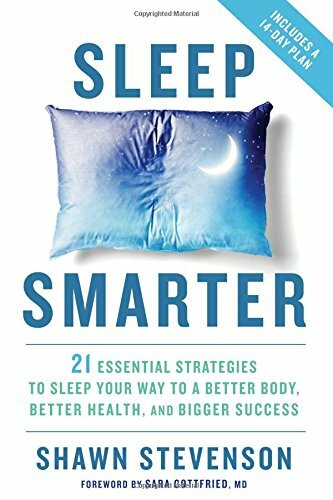 Sleep Smarter by Shawn Stevenson is a book that focuses on how to reliably achieve healthy sleep that will lead to a healthy life. With Sleep Smarter, you will learn the extent to which sleep can impact different aspects of your life, as well as useful tips and tricks for sleeping better, achieving peak performance, and being able to live a healthier life. 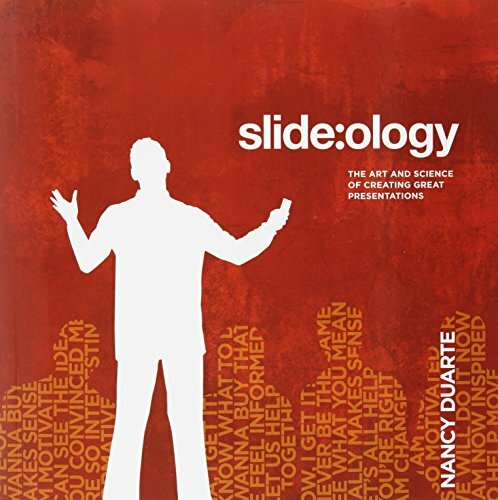 Slide:ology is a practical guide to creating an effective visual presentation and skyrocketing your career. 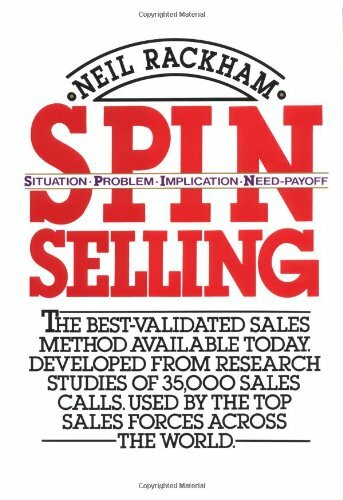 SPIN Selling is a book that focuses on sales success. It details the SPIN strategy (Situation, Problem, Implication, Need-payoff), and will help readers massively increase their sales. 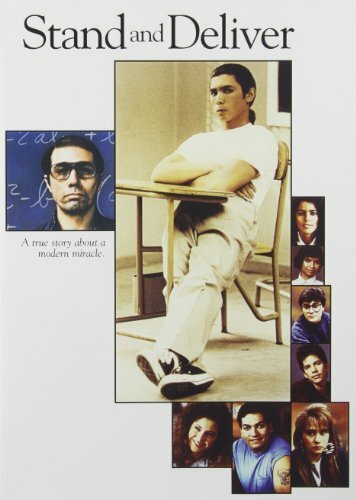 Stand and Deliver is a must-see DVD about just how much of an impact teachers can have. Start with Why is a best-seller from Simon Sinek that focuses on the power of “why”. 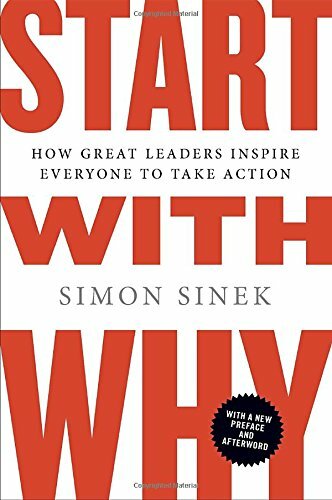 The world leaders who are able to influence so many people all start with the question “why”, and Sinek’s book can help you to attain similar excellence. 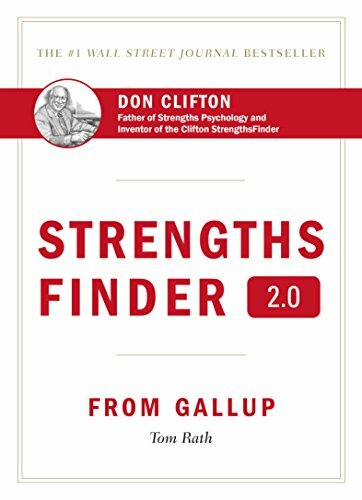 StrengthsFinder 2.0 is a book that has the latest version of Gallups’ strength assessment, along with strategies that readers can use to get the most out of their strengths. This book can change your perspective about how you see yourself, and then change your mind with what to do with that information. 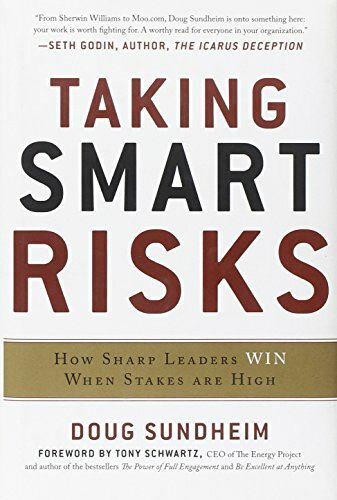 Taking Smart Risks is a book about finding the sweet-spot between safe and risky business decisions, in order to always come out on top. Doug Sundheim makes a compelling case about the need for risk in our society, and how taking smart risks can help you rise to the top. 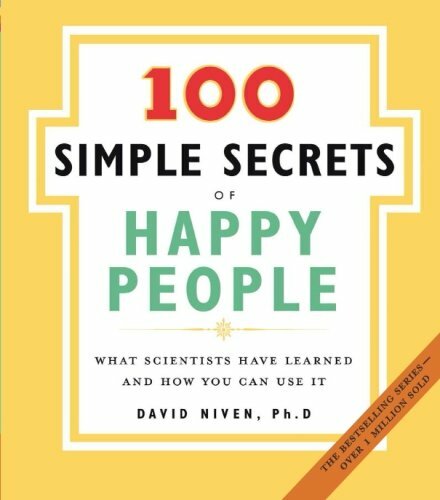 The 100 Simple Secrets of Happy People is a book that connects scientific findings about happiness to the general public. Filled with empirically tested findings, advice, and practice, this book can show you how to fill your life with happiness. 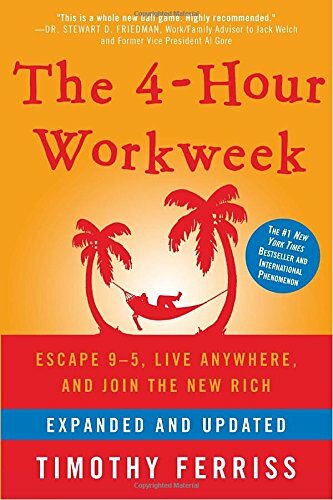 The 4-Hour Workweek is a step-by-step guide to getting the regular 9-5 out of your life. From this book you can expect practical tips, case studies, and solutions that can solve the age-old problem of wanting to experience more but work less. 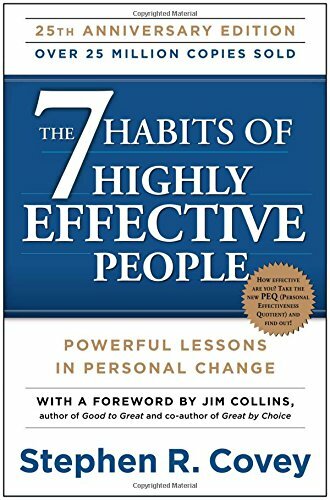 7 Habits of Highly Effective People is a book that focuses on developing habits that will help readers excel in both their personal and professional lives. This book can completely change a person’s perspective, and help them build themselves up and live a more fulfilling life. 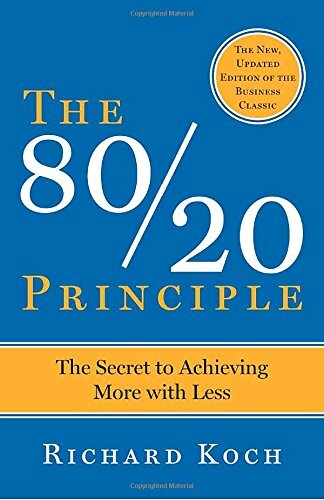 The 80/20 Principle is a book that focuses on the concept of using just 20% of your effort to achieve 80% of your results. This book will help you focus your effort efficiently in order to achieve more with less effort. 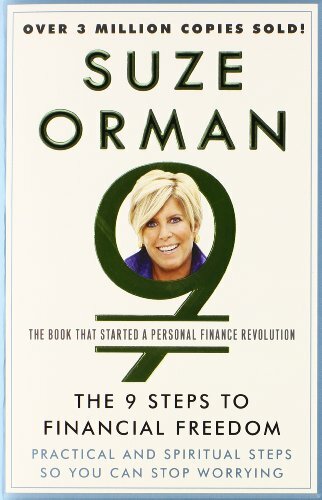 The 9 Steps to Financial Freedom is a book that looks at money and wealth in a deeper way. Including the emotional and spiritual aspects of money, this book focuses on how to control money, instead of allowing it to control you. 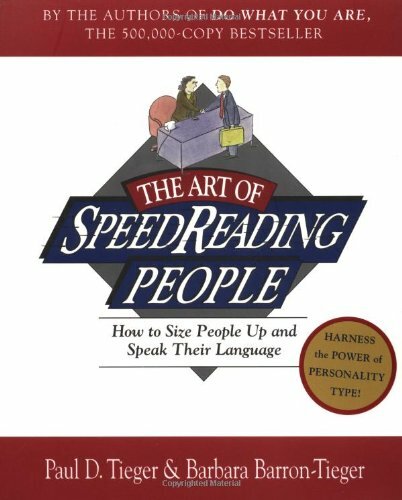 The Art of SpeedReading People is a book that focuses on communication and how to effectively “read” people. If you can quickly understand how someone is, you can figure out the best way to talk to them in a way that they will respond positively to. 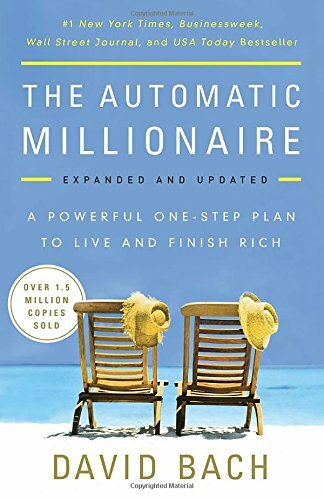 The Automatic Millionaire, Expanded and Updated is a book about how to become a millionare through smart financial planning. 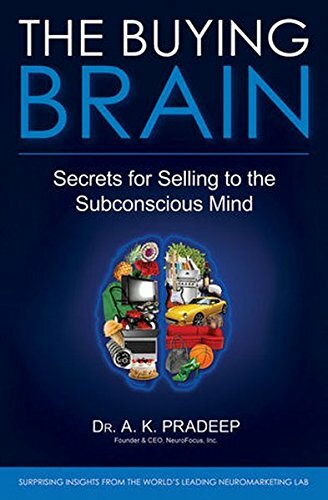 The Buying Brain is a book about how developments in neuroscience are impacting consumerism culture. Knowing how the brain works means that companies, brands, and products can be crafted in a way that appeals very strongly to the human brain. 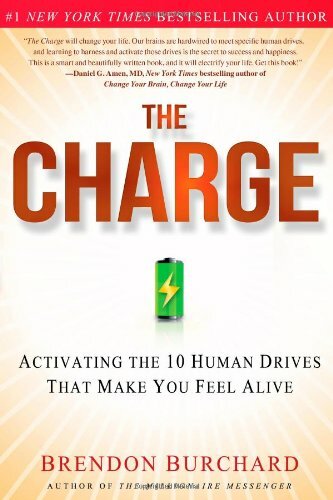 The Charge by Brendon Burchard is a book that argues how to improve your quality of life by understanding the 10 drives that are a part of being human. Without understanding these drives, people often go after them in a destructive and uneffective way. However, Burchard is able to provide a guide for accessing the 10 drives in a healthier and extremely impactful way. 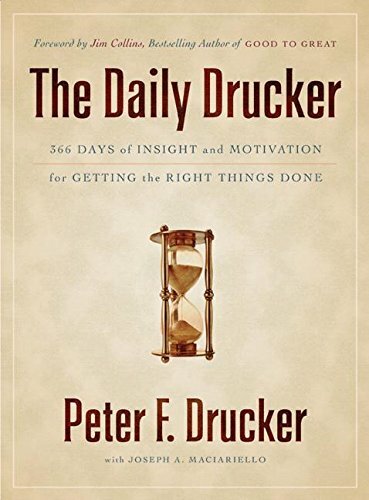 The Daily Drucker is a book that focuses on daily solutions for many important facets of life. The tips include focus in areas of time management, innovention, outsourcing, and other useful insights. 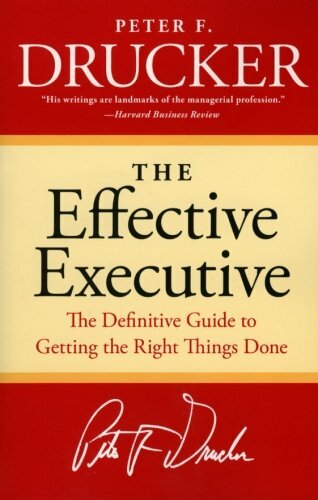 The Effective Executive is a guide book to achieving maximum business effectiveness. This book will identify and explain the 5 skills that are essential for becoming a successful executive. 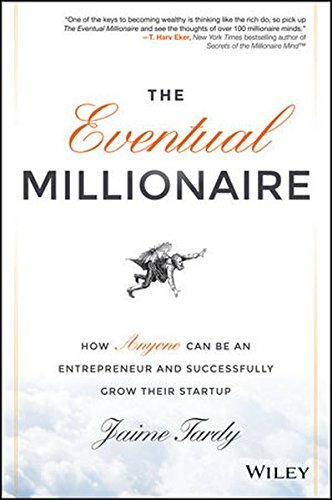 The Eventual Millionaire is a book that outlines what it takes to become a millionaire someday, through orchestrating both a fulfilling life and business. This book provides a foundational knowledge for starting your own business and gaining financial freedom. 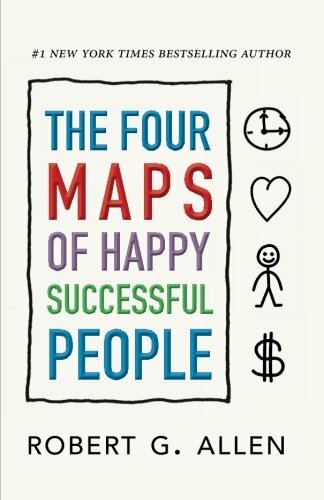 The Four Maps of Happy Successful People is an inspiring book about attaining personal, spiritual, and financial growth. Robert Allen showcases motivating, powerful maps that will guide his readers to living a more wholesome life. 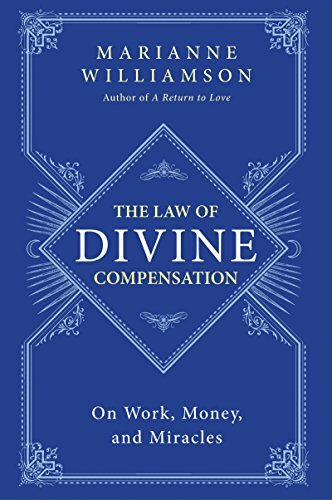 The Law of Divine Compensation focuses on integrating spirituality with money. This book is about working with the universe in order to accumulate the wealth you desire. 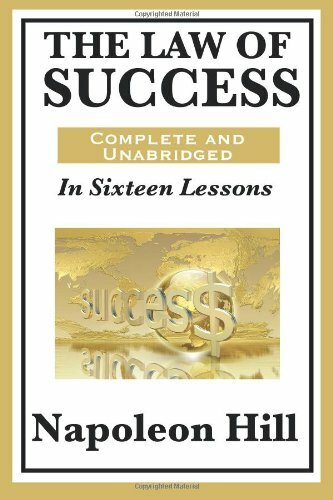 The Law of Success In Sixteen Lessons by Napoleon Hill is a book that showcases 16 lessons about how to achieve financial success in a difficult economic environment. 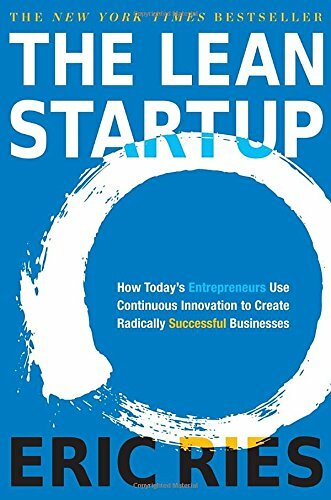 The Lean Startup is a book about how entrepreneurs should run startups to ensure that they will succeed. Eric Ries’s book provides a scientifically-backed method to run a successful and innovative startup. 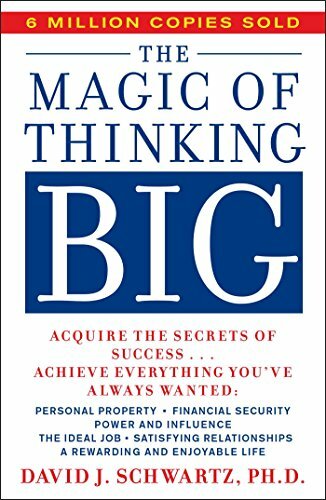 The Magic of Thinking Big is a book that provides actual methods and secrets for dreaming big and being able to achieve those dreams. This is an inspiring read that can help people break away from fearing failure and learn to think like a true leader. 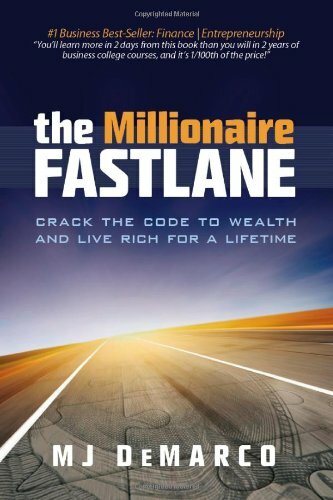 The Millionaire Fastlane by MJ DeMarco is a book that inspires readers to take the alternative route to gaining wealth. Forget about the “slowlane”, the miserable, slow, unpredictable method of saving that people seem to think is the only option. There is a fastlane, where you can become rich while you are still young. 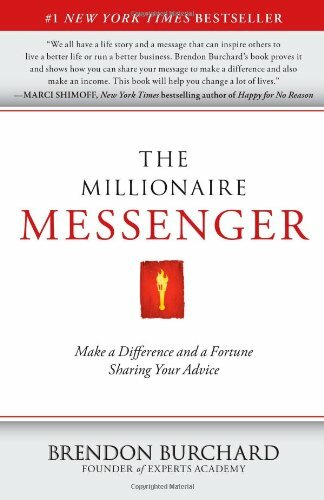 The Millionaire Messenger focuses on how to create a business out of sharing your story and expertise with the world. Brendon Burchard has a 10-step plan for how to turn your life story into your greatest asset. 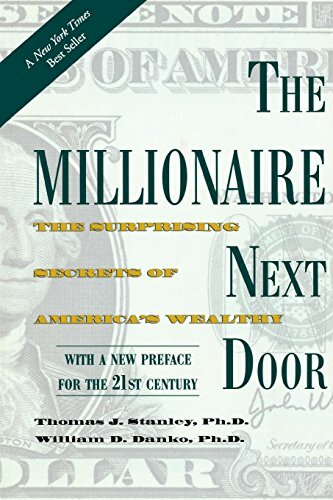 The Millionaire Next Door is a book that uncovers the 7 commanalities between the American wealthy. Thomas Stanley guides his readers in how to use these 7 secrets to their advantage, so they too can join the ranks of the wealthy. 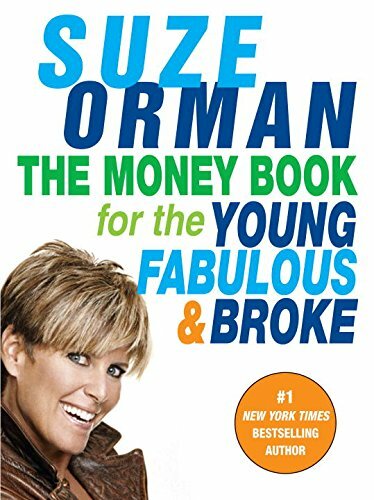 The Money Book for the Young, Fabulous & Broke by Suze Orman is a book of advice on the younger generations’ money struggles. From credit card debt, student loans, having a first real job, to building a credit score, Orman guides young readers through how to break the mold of what is being called “generation broke”. 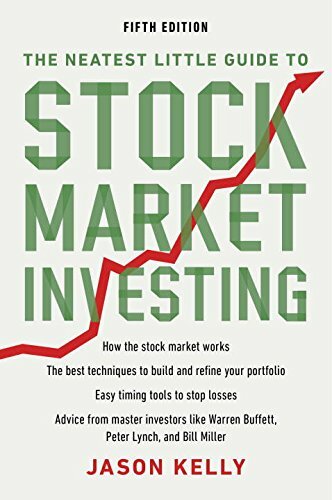 The Neatest Little Guide to Stock Market Investing is a useful and insightful guide to stock and investment strategies. This is the 5th edition of the book so it includes timeless advice along with being updated to keep pace with the current stock market environment. The Paradox of Choice explains how even though choice may feel like freedom, there is a certain point where having too many choices becomes detrimental. 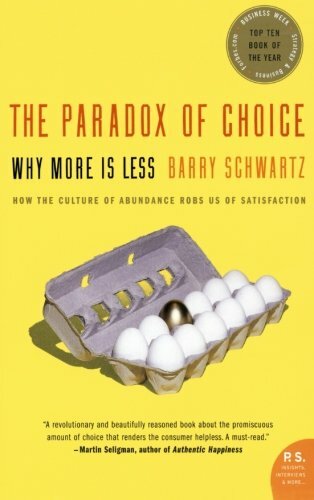 Barry Schwartz poses a thought-provoking notion that limiting our choices will lead to greater life satisfaction. 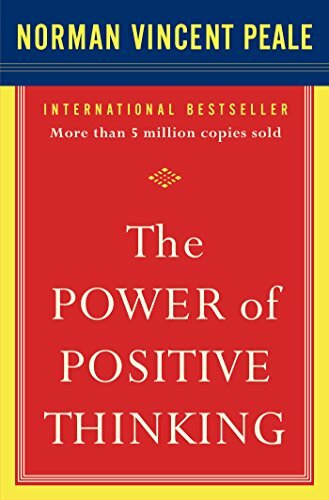 The Power of Positive Thinking provides a powerful message of faith and inspiration that will leave readers inspired ready to achieve their deepest ambitions. 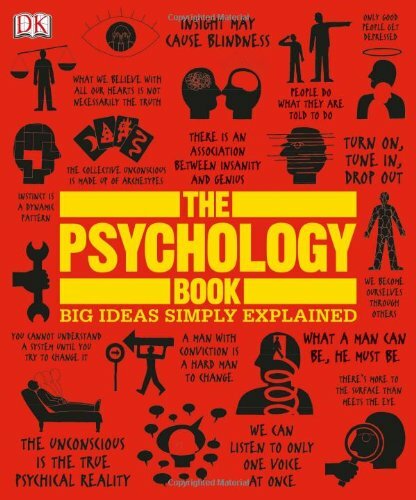 The Psychology Book is able to link the general public to complex psychological ideas and theories. 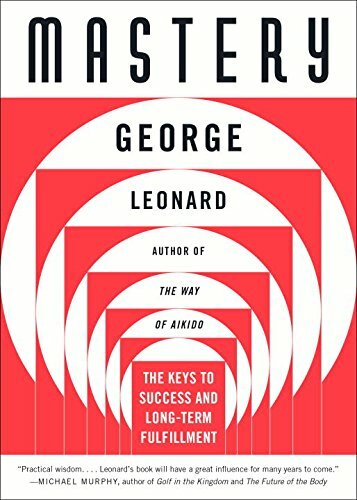 This is a great book for anyone who wants to understand how the mind works and learn about a few of the classic psychologists like Freud, Pavlov, and Skinner. 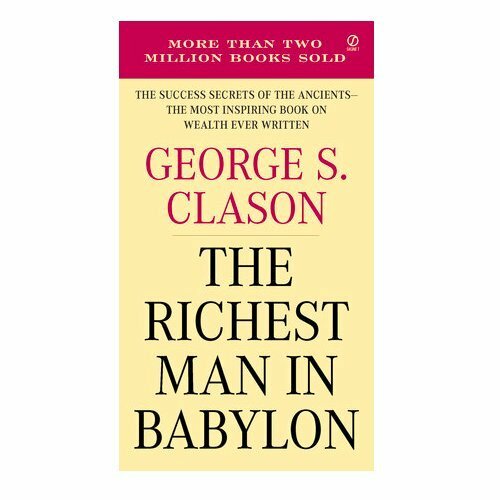 The Richest Man in Babylon by George Clason is an inspiring book that uses parables to offer an understanding of and answer to financial troubles. 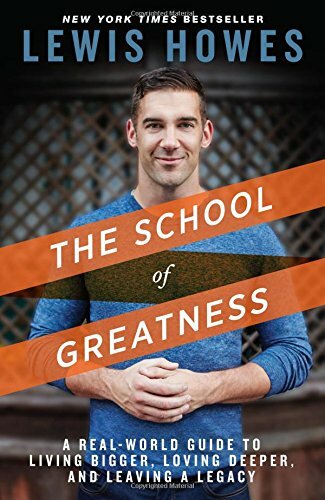 The School of Greatness is a guide that uses Lewis Howes’ interviews with “the greats” to provide readers with tips and habits that gold medalists and CEO’s use to become great. This book is a complete guide to achieving greatness. 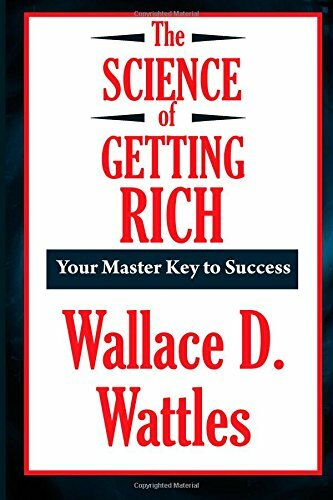 The Science of Getting Rich is a book that focuses on the how to attain wealth with the power of positive thinking. It is a concise guide to changing your notions about the universe and attracting wealth. 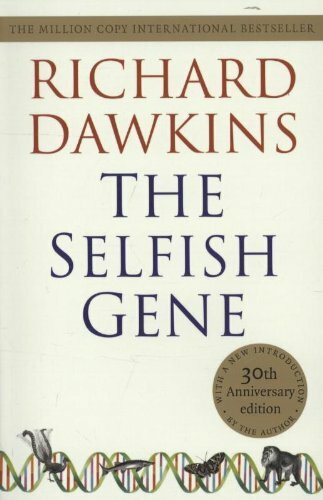 The Selfish Gene is a book about evolution, and how both selfishness and altruism appears in nature. This is an entertaining and comprehensible book about genetics and its implications. 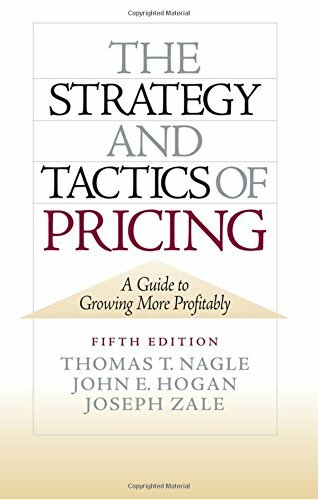 The Strategy and Tactics of Pricing is a step-by-step guide to pricing analysis and strategy development. This book melds together theory and practice and is a great read for both students and practicioners. 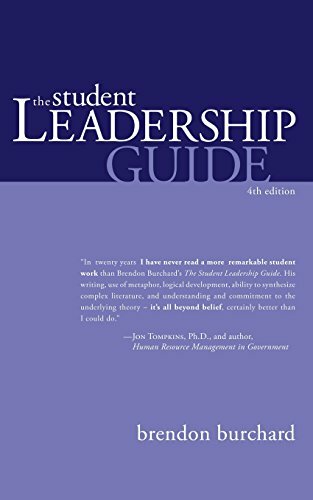 The Student Leadership Guide is the only leadership book on the market that is meant for students, provides both a theoretical and popular view, and provides a framework that can be implemented in the real-world to make an impact. This book serves as an inspiring force to create leaders in every aspect of life. 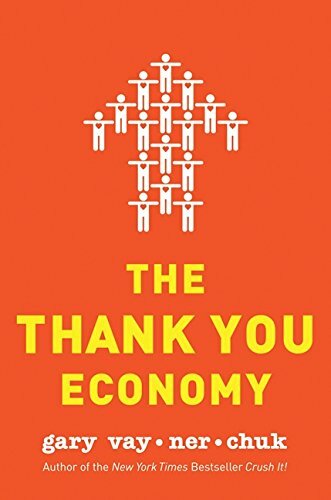 The Thank You Economy is a book that focuses on how businesses can use social media to create personal relationships with their customers, relationships that will massively impact profit and growth. 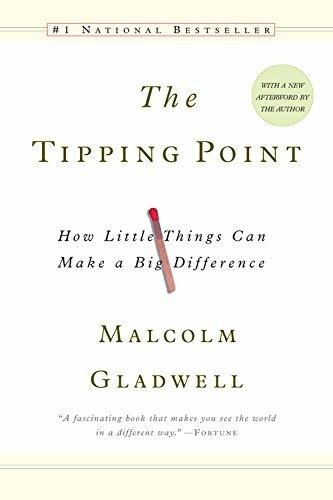 The Tipping Point is a book that explores the phenomenon of how a targeted marketing strategy can lead to an idea, product, or trend spreading like wildfire. This book connects science to social trends to make for an enlightening and informative read. 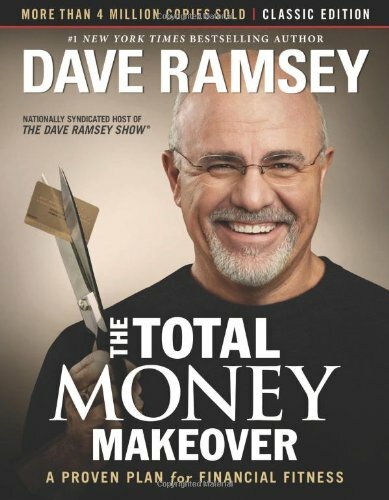 The Total Money Makeover by Dave Ramsey is a practical, straightforward guide to handling your finances better. This book can help you design a plan to tackle your debt, identify 10 dangerous money myths, and secure retirement/rainy-day savings. 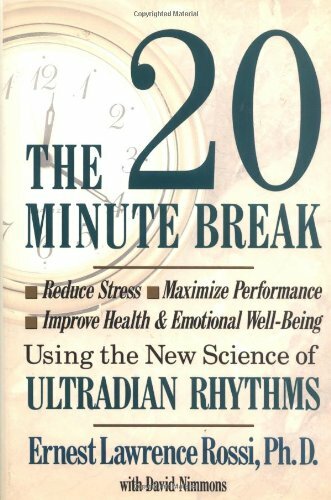 The Twenty Minute Break explains utradian rhythms, what effect they have on us, and how to take advantage of these patterns. If you are looking into how to improve your daily energy or understand the innerworkings of your body, this is a great book that can help you start living a healthier, more energized life. 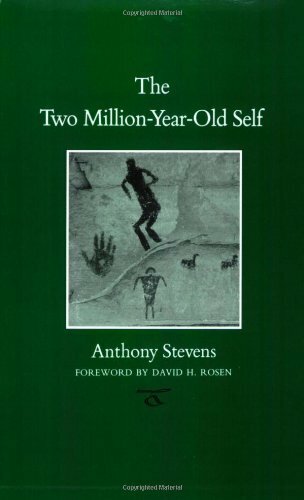 The Two Million-Year-Old Self is a compelling read about the evoluntionary perspective of there being a two million-year-old self inside all of us, and that nature has become conscious of itself. This “nature’s mind” offers a new perspective with how we should interact with our planet. 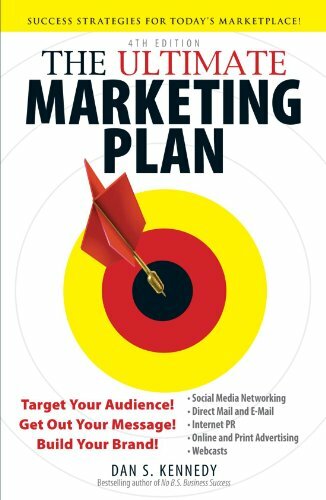 The Ultimate Marketing Plan is a book that focuses on how to be a cutting-edge marketer on a budget. In this new age of social media marketing, along with networing and strategic memberships, it is very possible to build a strong customer base without breaking the bank. 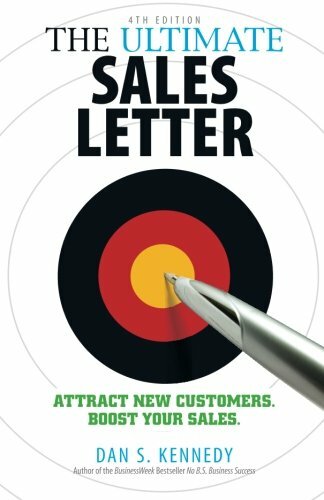 The Ultimate Sales Letter is a book by Dan Kennedy, one of the most successful direct-response copywriters in the United States. In his book, he explains how to write a great sales copy that will be able to close a deal. 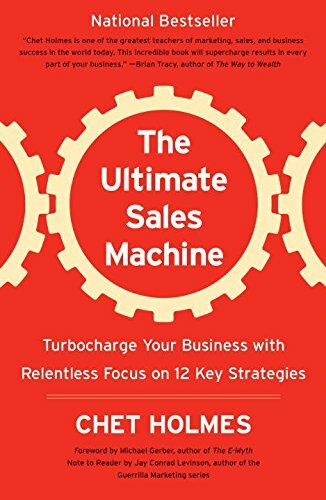 The Ultimate Sales Machine is a book that explores how to improve your business with the power of focus. This book covers 12 key strategies for improving all aspects of business. 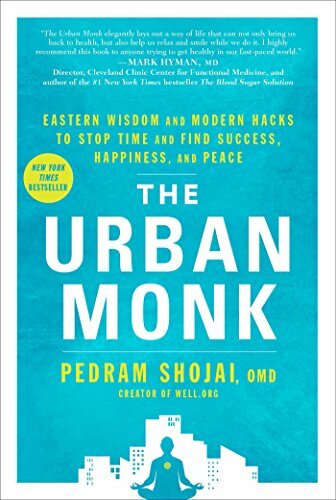 The Urban Monk is a book that focuses on bringing Eastern practices to the Western world, so that you can be able to find peace in a chaotic world. Life can be very fast-paced and demanding, so it can be crucial to find peace in order to gain the clarity needed to thrive in this world. 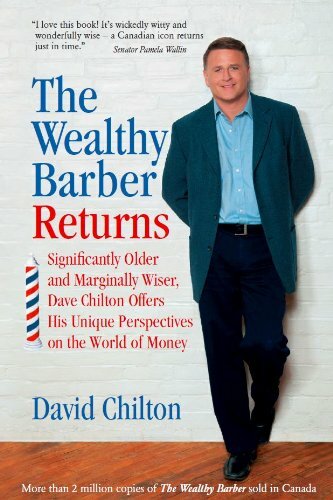 The Wealthy Barber Returns by David Chilton provides a unique perspective about the world of money. This book gives advice on both financial and life planning. 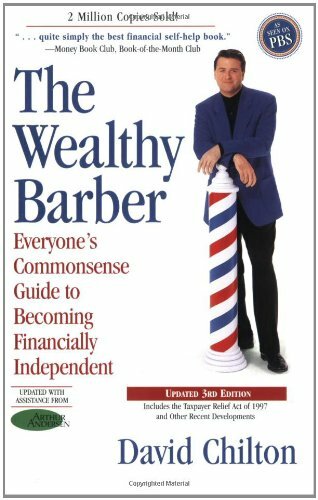 The Wealthy Barber, Updated 3rd Edition is a book that focuses on how to become financially independent. Even if your finanaces are currently in a mess, David Chilton is able to give you a practical plan to take control of your financial future. 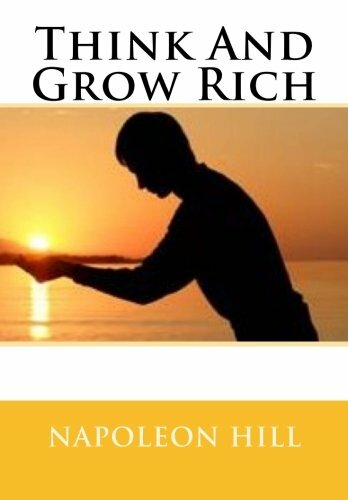 Think And Grow Rich provides readers with an inspiring philosophy that will help foster success in many aspects of life, including financial wealth. 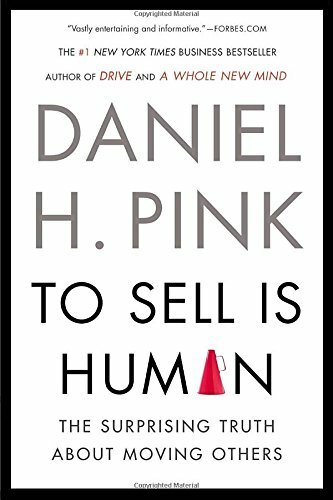 To Sell Is Human is a book that explores both the art and science behind selling. It is an interesting and entertaining read that explains how at this point in history, all Americans are in the business of selling. Tribes is a book that explores the opportunity of engineering a loyal following in the current era of social media. 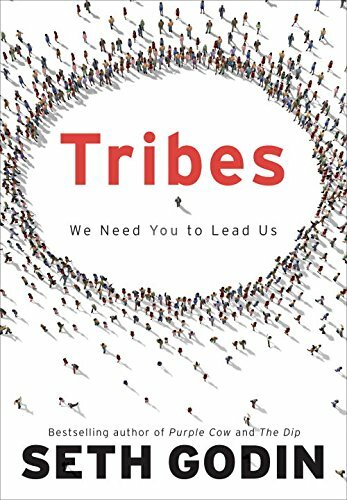 Seth Godin goes through the steps to creating a tribe and creates an inspiring tale about how anyone can become a leader in this technological age. Type Talk is a book sed on Carl Jung’s work with personality psychology that will help you discover more about the 16 personality types, and what that means for your life. 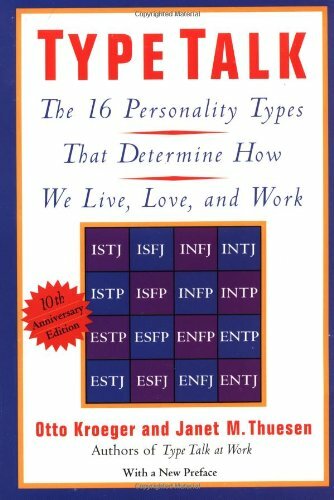 This book can provide you with valuable insights about your personality along with the personality of those around you. 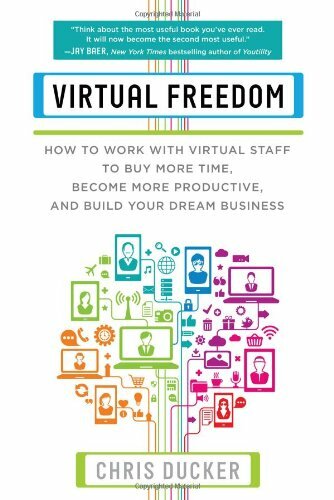 Virtual Freedom is a book that focuses on how to expand your business with the help of effective and affordable virtual employees. Every entrepreneur can benefit from the help of virtual staff. 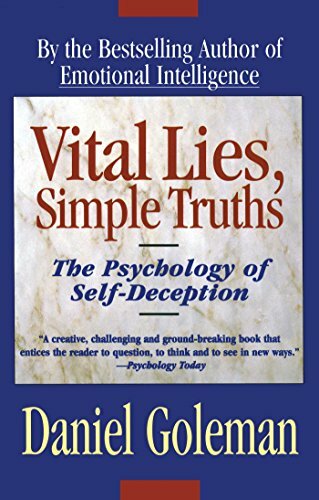 Vital Lies, Simple Truths is a book that analyzes the psychological concept of self-deception. This book uses psychological research and evidence to help readers understand a concept that is so central to our psychological existence. 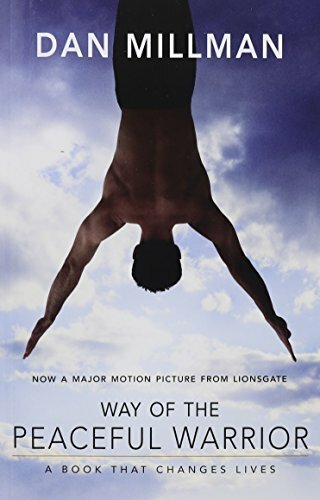 Way of the Peaceful Warrior is a book that focuses on the story of Dan Millman, a champion athelete, as he goes on a journey of discovery and learns what it means to be a peaceful warrior. A tale of a universal quest for hapiness, Dan will explore realms of romance and magic, light and darkness, body, mind, and spirit. Why Didnt They Teach Me This in School? 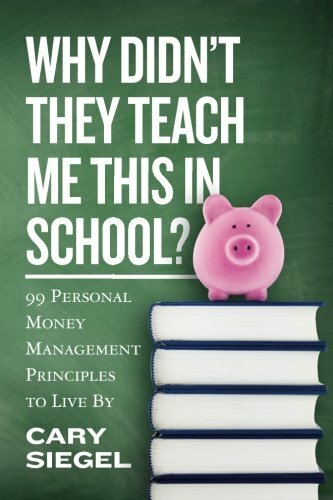 is a book of practical money management tips that every young adult should learn, and every person should know. Will It Fly? 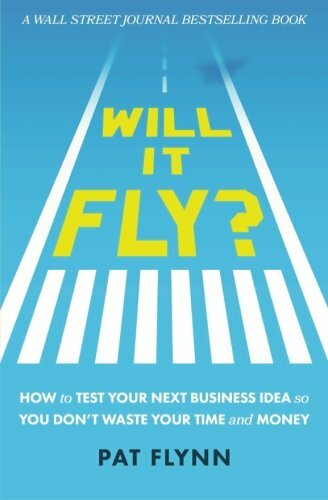 How to Test Your Next Business Idea So You Dont Waste Your Time and Money is a book that works on leading readers to come to important and practical conclusions about potential business ideas. This book is split into 5 sections that will aid in the evaluation process of your next big business idea. 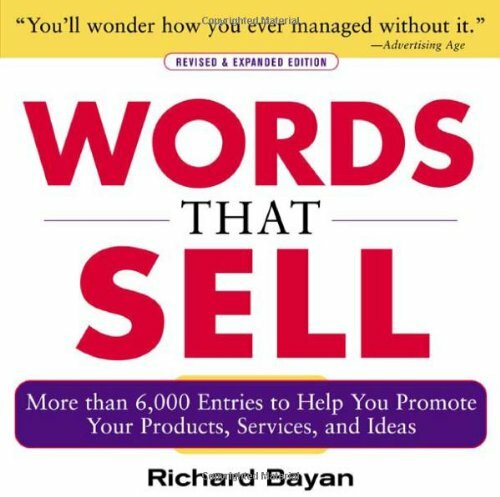 Words that Sell focuses on providing you with inspiration about how to sell your product, service, or idea. This book includes over 6,000 words and phrases that will help you win over potential customers. 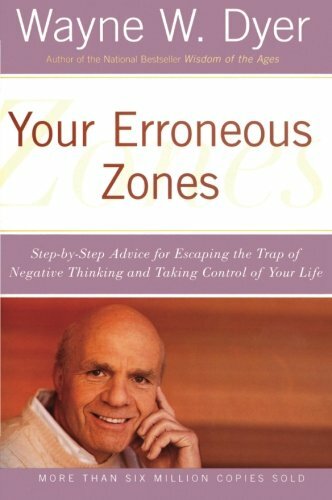 Your Erroneous Zones is a practical guide about how to avoid negative thinking and take control of your life. Wayne Dyer provides essential life advice for people who just can’t seem to get away from destructive patterns, but whose ultimate goal is to succeed and prosper.